SARah is the planned follow-on system for the SAR-Lupe radar satellite constellation operated by the German armed forces (Bundeswehr). SARah consists of one active phased array-antenna satellite built by EADS Astrium and two passive reflector antenna satellites provided by OHB-System. This system is planned to provide a higher resolution than the predecessor SAR-Lupe. Authorisation of the program is planned for June 2013. 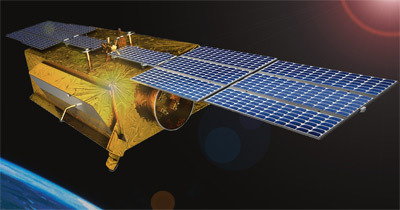 The SARah 1, the first component of the SARah system, is reportedly based on the TerraSAR-X satellite. It reportedly shares many features with the proposed civilian follow-on to TerraSAR-X. Two passive-antenna SARah satellites will fly in formation with the active-antenna spacecraft. The three satellite constellation is planned at a cost of 800 million Euro. The satellite will be launched with a co-passenger on a Falcon-9 v1.2 (Block 5) booster between November 2020 and September 2021. Note: The designations "SARah Aktiv" and "SARah Passiv" are conjectural.